This week’s home post is one I have been waiting a long time to post. 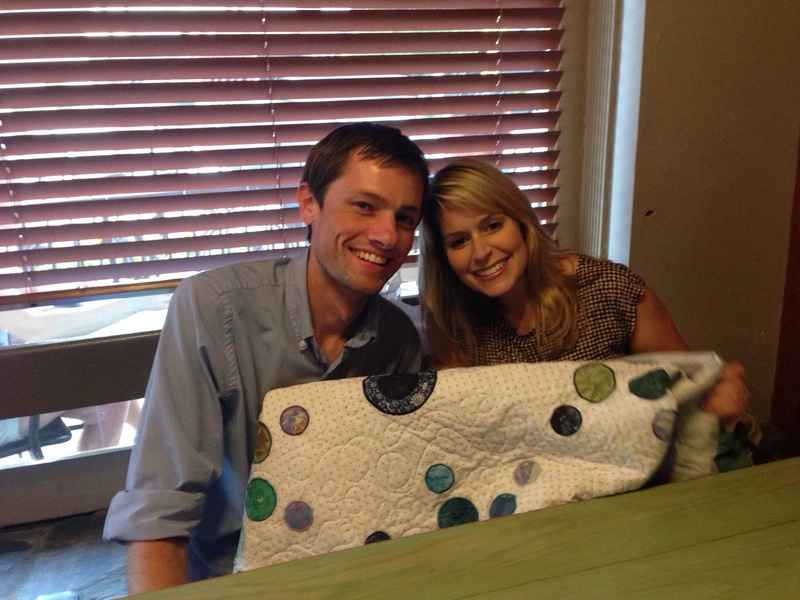 We delivered Jonathen and Keri’s housewarming quilt to them this week. They loved it and I was thrilled. Funny story about this quilt. J and K went on a date night about 3 months ago and they posted to FaceBook that they were having fun blowing bubbles. They even posted a photo. 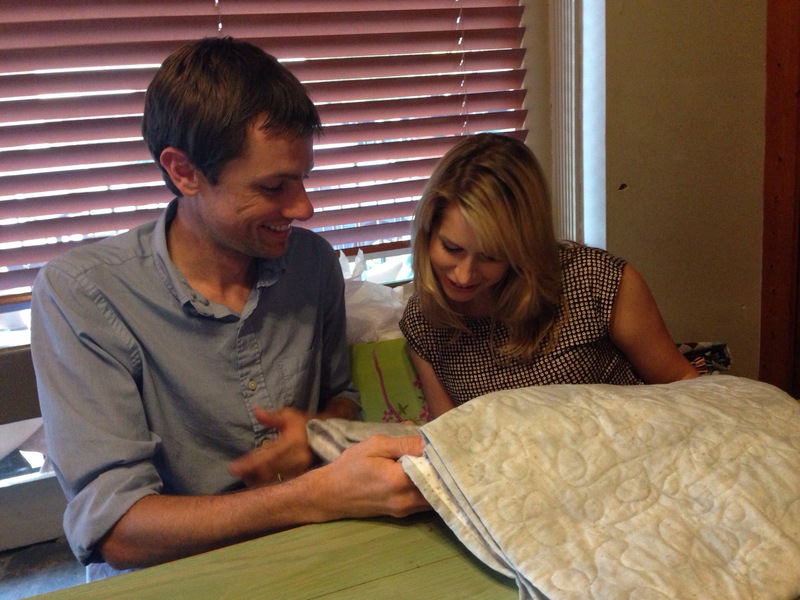 That happened to be the same night I had already named this quilt “Bubbles.” Coincidence? Not a chance! Finally, here is a random photo for you to enjoy. We have had so much rain lately that this was growing alongside our driveway yesterday. 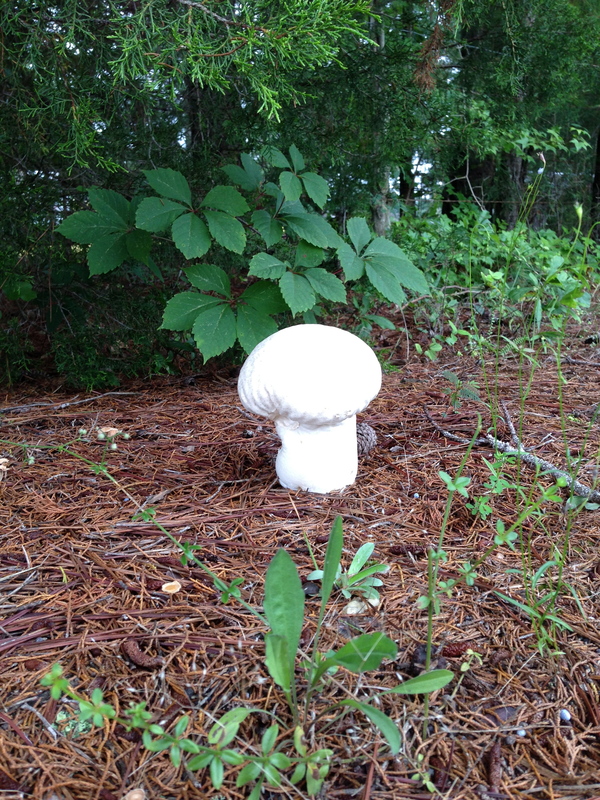 This is quite possibly the most beautiful mushroom I have ever seen and it is HUGE (at least 10 inches tall)!! Does anyone know what the name of this particular mushroom is? Such a lovely house warming gift! Nothing is quite like a handmade gift. For both the getter and the giver. It will keep them warm in body and heart. You are such a good friend.